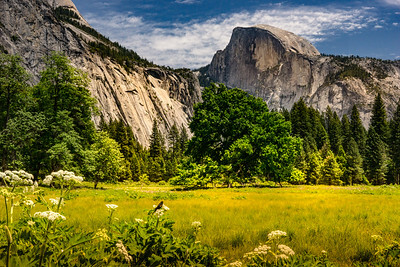 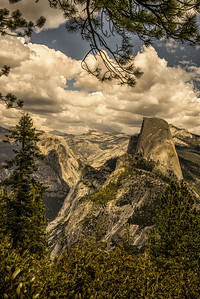 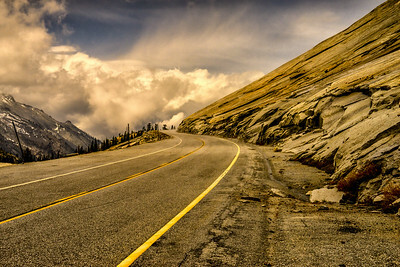 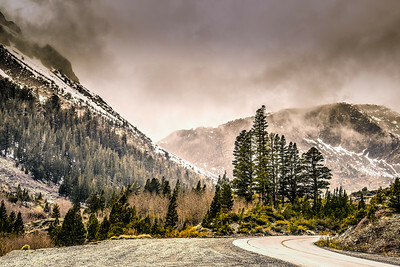 As one approaches Yosemite National Park from the east on Tioga Pass, this rugged mountain announces the amazing sights to come. 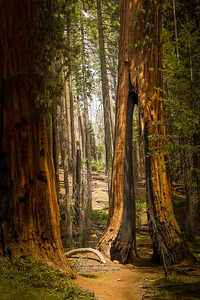 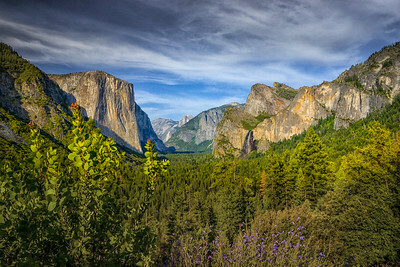 Per Wikipedia: The area is believed to have been settled as early as 10,000 years ago by California indigenous peoples. 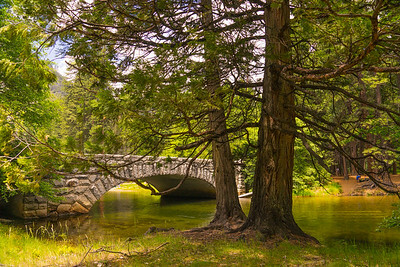 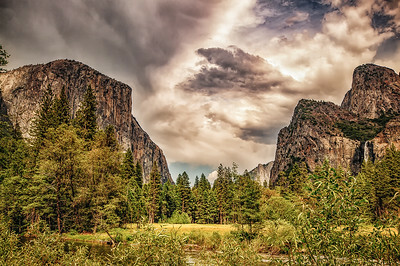 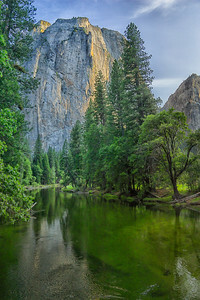 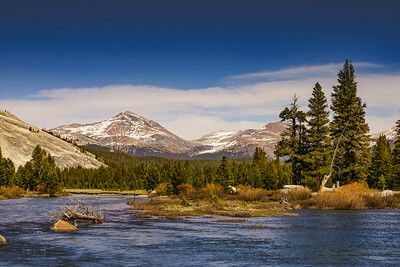 John Muir was among the first Americans to see the area. 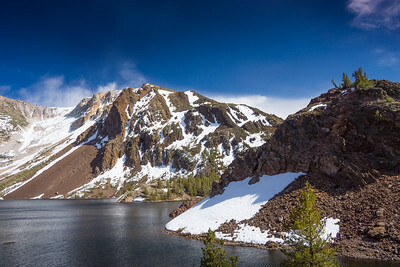 The lake feeds Lee Vining Creek. 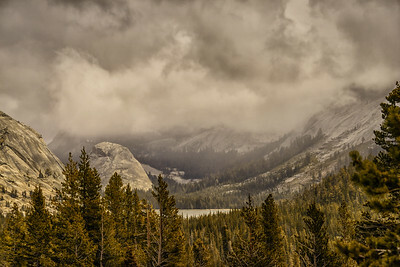 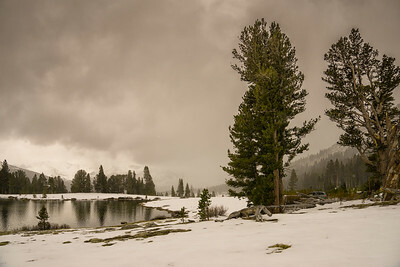 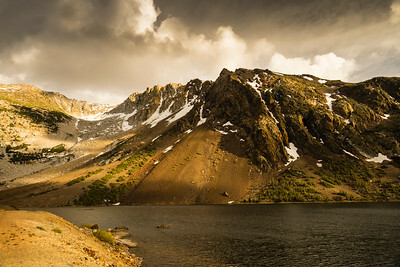 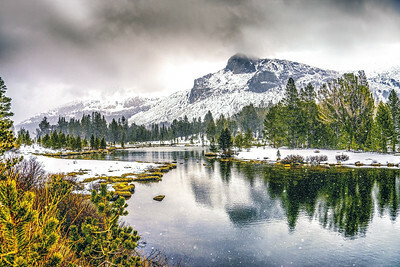 A late spring storm at Tenaya Lake in Yosemite. 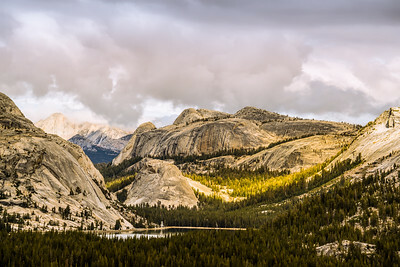 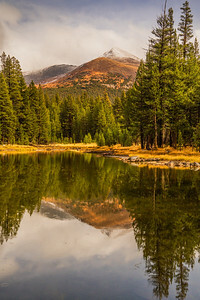 From the National Park Service: Tenaya Lake is a magnificent High Sierra lake surrounded by granite domes, lodgepole forests, and Yosemite’s vast wilderness. 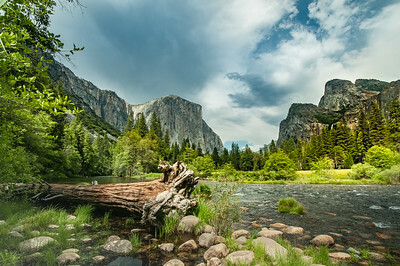 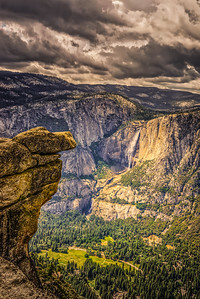 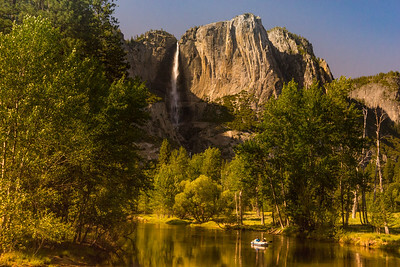 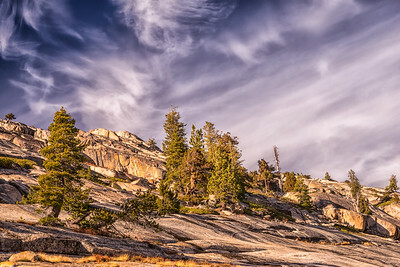 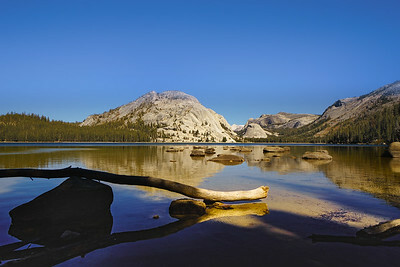 It is the largest lake in Yosemite’s front-country. 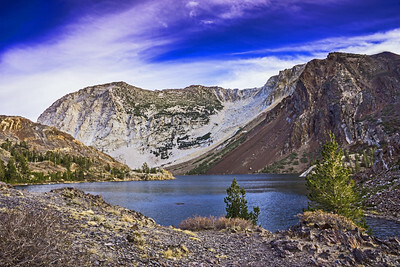 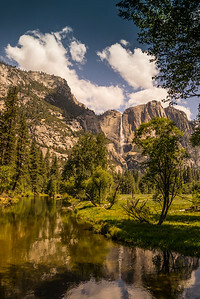 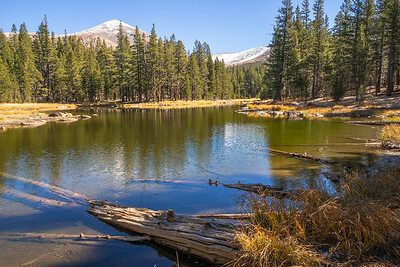 Because of its remarkable scenic qualities, its inviting blue water, and its proximity to Tioga Road, Tenaya Lake is one of the most popular destinations for summer visitors in Yosemite. 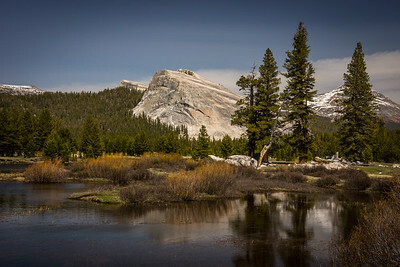 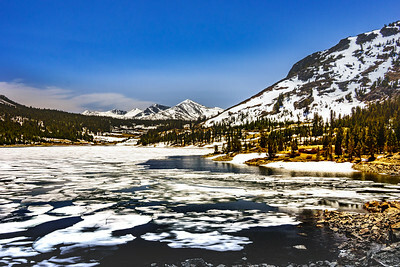 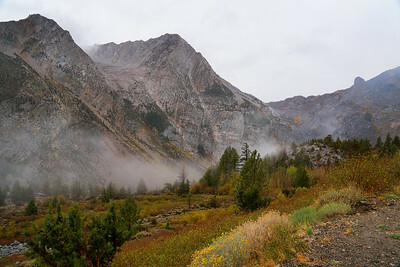 Still a little early in spring, Tioga Pass recently opened. 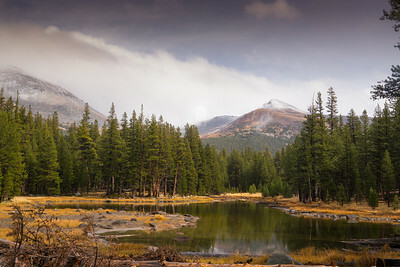 Ellery Lake has plenty of ice though little snow is evident elsewhere in Yosemite.